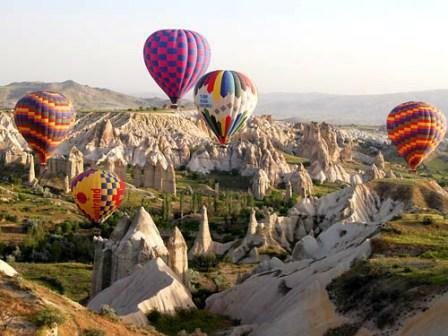 It will be the highlight of your trip in Turkey to watch the sunrise on the balloon and to fly over over beautiful landscapes and amazing valleys of Cappadocia with professional pilots with an experience of more than 20 years. Rise apprx. 1000 feet descend, fload through valleys, between fairychimneys and caves. You will have nice views to take pictures. At the end of the flight you will get a commemorative flight certificate. Tour may be postponed or canceled according to the weather conditions. 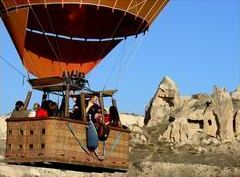 * The tour includes, transportation to and back to the Hot air balloon, personal insurance and pilot.